Editor’s note: Find a cited version of this letter at http://www.vaildaily.com. I read Mr. Finlay’s letter to editor in the promoting his candidacy for the Eagle-Vail Metro Board (“Eagle-Vail Metro District diversity of opinion,” Tuesday, May 1). While Mr. Finlay wants to create doubt in other candidates, he overlooked that he has not lived in Eagle-Vail for many years. He has not attended board meetings to understand the financial challenges facing the district, including the structural deficit that must be corrected now. Can he really be an effective board member when he is in Arizona several months a year? 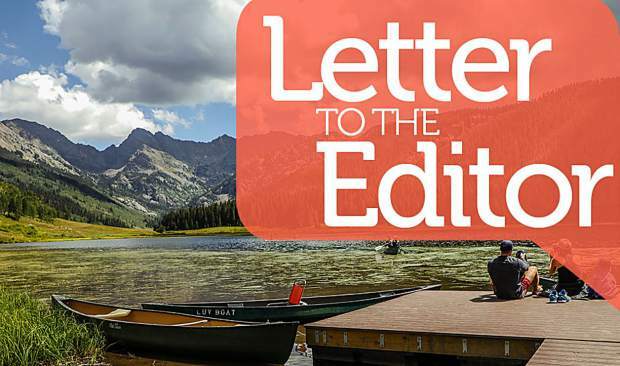 His concerns with serving both boards in Eagle-Vail are unnecessary concerns. Experience, effectiveness and knowledge are more important. Many other special districts have board members serving on more than one board. More important is Mr. Finlay’s support for two earlier 5A tax increases in the past (and I voted for) left our property owners with the debt and misinformation about what was to be built or repaired. Thus, we as the Eagle-Vail Property Owners Association pressed the Metro District to finally repair our tennis courts facility after decades of deliberate neglect. While our swimming pool is great, it is far smaller (was to be Olympic sized) and was reconstructed at a far greater cost than was first proposed to the voters ($1.5 million to $2 million became closer to $3.5 million). Then, there was Bob’s support for the potential $900,000 building purchase for Metro District offices while increasing Property Owners Association dues 300 percent without voter approval. We need to make better choices and follow through on commitments to voters. I think Albert Ewing, Jake Jacobson and Steve Daniels are better choices for board members of the Eagle-Vail Metro District. They have been involved in Eagle-Vail matters and have a clear agenda to improve finances and performance. They have advocated a “high performing local government.” They have a proven track record of repairing things for Eagle-Vail. To me, this is an easy choice. Please vote well before Tuesday, May 8.